This post is a guest blog by Josef Davies-Coates and it originally appeared on the P2P Foundation blog. Crowdfunding is a new word for an old idea. The Oxford English dictionary defines it as “the practice of funding a project or venture by raising many small amounts of money from a large number of people, typically via the Internet”. Crowdfunding’s poster child, Kickstarter, launched in April 2009. It wasn’t the first online crowdfunding platform (ArtistShare launched in 2003), but it was the first to become widely known and scale. In just 3 and a half years Kickstarter has helped over 32,000 projects raise a total of over $350 million. 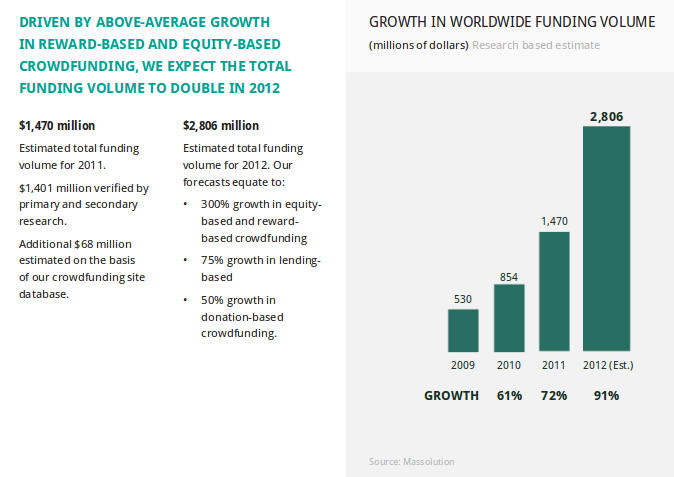 So, crowdfunding is big and growing fast. Aside from the cool art projects and funky products we’re all familiar with, can crowdfunding be used to fund positive social change too? It sure can. As you’ll soon see, with the Top 40 Platforms for Crowdfunding Social Change listed below it is now easier than ever to crowdfund social change. But people have been successfully pooling resources to meet shared goals and needs for a long time. An example of particular interest to P2P Foundation readers might be the story of how Jonas Salk created the very first polio vaccine in the 1950s; it is was crowdfunded and patent-free. Salk’s research “was not funded by private foundations or pharmaceutical companies, but by the National Foundation for Infantile Paralysis, a public effort, financed by the donations of millions of ordinary Americans who were asked to give a ‘dime at a time’“. More recently, crowdfunding has been used with great success to finance political action. A mainstream example is the Obama 2008 US Presidential Election Campaign which set new fundraising records by gaining support from a record-breaking number of individual small donors. More radically, a coalition of Occupy groups called Strike Debt are currently crowdfunding the awesome Rolling Jubilee initiative – a “bailout of the people by the people” – that seeks to buy debt for pennies on the dollar and then abolish it. 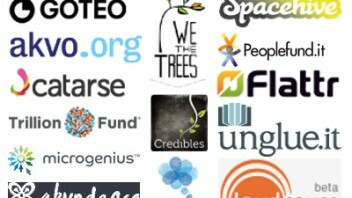 Goteo is an open source platform for ‘crowdfunding the commons’. Their code and all the projects listed on the site are ’100% Open’. If you want to crowdfund your Open Hardware design, Creative Commons content or Open Source software project, Goteo is the platform for you. Another open source platform, Akvo is primarily for Water and Sanitation projects. There is the accompanying wiki Akvopedia plus lots of useful code. Catarse was both the first crowdfunding platform in Brazil and the world’s first fully-fledged open source crowdfunding platform. Check out this community raising money on Catarse to support the creation of their own currency and read this great interview with one of the team. WeTheTrees is an open source platform for crowdfunding Permaculture projects, powered by Catarse code. What’s not to love? Credibles is amazing because it elegantly combines three wonderful things: Crowdfunding, Community Currency and Food. It shares much in common with Community Supported Agriculture and works like this: people support food projects by pre-buying their produce. In return they receive ‘edible credits’ that they can then spend with any of the participating food projects in the network. Such a great idea. We all eat, and as they say “if you eat, you’re an investor”. Prediction: things will start to get really exiting on the food front when Sustaination start doing this with everyone in their rapidly growing network! The sheer scale of ambition is what I love most about the Trillion Fund, a crowdfuding platform for renewable energy projects. Their goal is to help direct a Trillion dollars of investment into renewable energy projects over the next 10 years. Due to launch in early 2013, their own platform will empower people to ‘profit from renewable energy’ by making it easy to invest in shares and bonds that offer decent returns. In the meantime they offer a very handy directory of renewable energy investment opportunities. All very exciting. Be sure to register on their website to get notified as soon as they launch! Microgenius is brilliant. It simplifies and enables one of the most intelligent responses to climate, energy and economy uncertainty there is: getting together to start co-ops and then doing community share issues to raise funds for community scale infrastructure. In this case: cooperatively-owned renewable energy infrastructure. They don’t put it exactly like that, but that is why I love them. Only downside: it’s only for renewable energy co-ops (and not yet for Community Shops, Co-operative Pubs, or Fan-owned Football Teams) and the minimum investment is £200. But, whatever, Co-ops and Community Shares rock! With the ability to invest as little as £5 a month Abundance Generation makes investing in UK renewable energy projects really affordable. Their innovation model allows you to invest in ‘debentures’ which pay you a your fair share of the profits generated from your investment as a steady income over 25 years. Affordable long-term investments in UK renewable energy projects. We like. Buzzbnk was the first crowdfunding platform in the UK specifically for Social Enterprises and other Social Ventures and is itself a Social Enterprise, backed and owned 63% by leading charities and foundations. They have a social purpose to reinvest and support the social enterprise community and the development of the social investment sector. Launched in 2011 Peoplefund.it was originally focused on “business ideas that might just change the world” and their aim was “to launch a generation of entrepreneurs, businesses and charities who are commercially sustainable and have social innovation at their heart”. These days PeopleFund.it is general purpose crowdfunding website and claims to be the biggest in the UK (although some would say that accolade belongs to Sponsume and now Kickstarter is in the UK too). As part their NESTA funding requirements a snapshot of their code was published on github shortly after their launch. Sadly the code has not been updated or maintained since. Spacehive is the world’s first funding platform for neighbourhood improvement projects. They make it as easy to fund a new park or playground for your area as buying a book online. Check out Capital Growth are using it to raise funds for urban growing space in London! Flattr describes itself as “the worlds first social micro-payment system”. Whereas most crowdfunding platform exist to fund projects before they happen, Flattr is a way to reward content producers after they’ve published their content. It is potentially another very important part of the puzzle in the “how to content producers get paid when the marginal cost of copying is virtually zero” conundrum. If, like me, you spend too much time trying to convince great authors to look beyond restrictive copyright rules and update their business models for the networked digital age, you’ll love unglue.it – afterall, to “unglue” means “to make a digital book free to read and use, worldwide”. Great stuff. They unglued one book. Amazon shut them down. Now they’re back! ioby describes itselt as the crowd-resourcing website that helps bring your environmental ideas to life, block by block. LoudSauce is all about amplifying ideas that matter and preaching beyond the choir. It is the first crowdfunded media buying platform that help groups of people spread ads they believe in out to mainstream channels like billboards, TV and bus shelters. Remember, just 6 companies own over 50% of all media, so projects like this are incredibly important for getting the word out. Launched in 2009, Zidisha is “The Online Micro-Loan Platform that Kiva Wants to Be Like“. It was was the first peer-to-peer microlending service to offer direct interaction between lenders and borrowers across the international wealth divide. In short, it actually does what you always thought Kiva did. The average Zidisha borrower pays only 8.02% in annual interest and fees, including interest paid out to lenders. This is much lower than most MFI rates and below the rate of inflation in many developing countries. Have a crazy brilliant idea that needs funding? 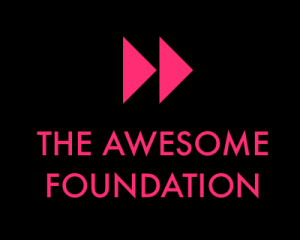 The Awesome Foundation isn’t a normal crowdfunding platform but does award $1,000 grants every month. It couldn’t be simpler! Your idea is yours alone. They don’t want a stake in it. They just want to help you make it happen! Gen Community, itself cooperatively-owned, is quite similar to the Microgenius community shares platform. They too offer the opportunity to invest in community shares in renewable energy co-ops, but rather than being a platform for other projects they organise all the projects themselves. They also focus on larger projects aimed at bigger investors: projects are in the £1-2million range and the minimum investment is £500. Technically not a crowdfunding *platform* at all, I’ve included them because Co-ops and Community Shares rock! Did I mention that Co-ops and Community Shares rock? Well, they do. And Shared Interest, a co-op that lends to fair trade organisations, is a great example of what can be achieved. Since their launch in the 1980s they have raised over £20 million in community share capital from over 8000 members. A platform for “Community-funded reporting”, Spot.Us is an open source project to pioneer “community powered reporting.” Through Spot.Us the public can commission and participate with journalists to do reporting on important and perhaps overlooked topics. It is an utterly brilliant idea. But I have to say, I’m not too impressed with the implementation. If you can code or help with the design, get involved and help make it better! Crowdfunding for Main Street. CloudFunded is a finance platform for local and sustainable business you know and trust. Localstake is a locally focused crowdfunding marketplace that connects businesses looking for capital with local investors. Citizinvestor is a very interesting platform that has great potential for local replication. In short, it allows municipalities to post projects which citizens can then contribute towards. It also enables citizens to start petitions. It reminds me a bit of Participatory Budgeting. Kiva is probably the best known and biggest online microfinance platform. Whilst it gives the impression that investors can lend directly to entrepreneurs in developing countries, all the money actually goes via parter MFIs (Micro Finance Institutions). Kiva Zip is a new project that works just like Zidisha. StartSomeGood connects social entrepreneurs with people who want to help. One nice thing about their story is that they raised the money for their project on IndieGoGo, another crowdfunding platform. 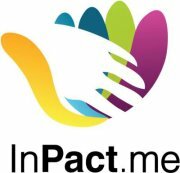 Similar to StartSomeGood, Inpact.me is a Latin American crowdfunding site supporting social entrepreneurs in Chile and beyond. SunFunder is a crowdfunding platform connecting investors to high-impact solar projects in off-grid communities around the world. Solar Mosaic was one of the first renewable energy crowdfunding platforms and successfully raised funds for a few solar projects before entering into “a quiet period”. Their website now says: “Coming soon, a new way to create clean energy in your community and around the world”. Solar Schools is a UK 10:10 project that help schools crowdfund for a solar roof. Donate £5 or more to sponsor your very own tile. Selfstarter.us is an open source ‘roll your own crowdfunding’ platform by the guys at Lockitron, who created it after they were turned down by Kickstarter. Rocket Hub isn’t specifically for social change projects, but it does play host to the brilliant #SciFund Challenge: “The #SciFund Challenge is an experiment – can scientists use crowdfunding to fund their research? The #SciFund Challenge is also a way to get scientists to directly engage with the pubilc”. iAMscientist is a crowdfunding platform for science. It is a global community of science, technology and medical researchers who come together to accelerate research, support career development and drive the distribution of discoveries. Another crowdfunding platform for science, Petridish is “a new way to fund science and explore the world with renowned researchers”. Microryza is “an online platform that lets you discover new research, support the research you think is important, and then connect with scientists. In return, you receive updates directly from the researchers to get a window into how they work and see your impact in the process of discovery”. WATSI enables you to directly fund low-cost, high-impact medical treatments for people in need. Catapult is a crowdfunding platform connecting people with projects that advance the lives of girls and women worldwide. ethex isn’t live yet, but they want to make truly ethical investments open to everyone, become the 1st not-for-profit stockbroker, support social businesses and unit ethical investors. Very little info so far but the energybank vision is “for a Europe-wide market in energy-bonds, backed by renewable assets and owned by the people and businesses that use them”. Sounds great, let’s hope they pull it off! As co-founder of United Diversity, a co-operative partnership based in London, UK, Josef Davies-Coates helps people to discover, contribute to and replicate intelligent responses to climate, energy and economic uncertainty. He has ran and advised many successful crowdfunding campaigns and has assisted numerous Co-operative and Community Benefit Societies to set-up and launch Community Share issues. He helped set-up the Trillion Fund blog in May 2012 and it is his ongoing work with them that prompted him to pen this post. Thanks, Trillion Fund! Is there any crowdfunding website / platform that supports Crowd Funding in India? Wishberry.in is supposed to be one. I’m looking for more. Hi there, I just did a quick search. 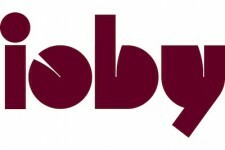 Yes, seems the main one there at present is http://www.wishberry.in/ with http://pitchhike.com/ and http://www.yolaunch.com/ launching soon. I am interested in hearing feedback about CrowdRise, http://www.crowdrise.com Has anyone used this platform? Yes some platforms are great but question is, which one is really working??? I was looking for some international site to start my project and found that the best site for this is IndieGoGo. So I have lunched my project. We will see what happen. You can check my project http://igg.me/at/TakoDobro/x/2410331 or follow me on Twitter or Facebook. Crowdfunding as a concept is gradually picking up in India and you could consider visiting http://funduzz.com/ which promises to shape the Crowdfunding Idea in India. Funduzz.com seeks to support and Crowdfund Innovative and Creative Ideas in India. We welcome projects from India on HelpingB, a crowdfunding platform dedicated to social entrepreneurs. Our rewards-based model combined with dedicated support is helping entrepreneurs start and scale for-purpose companies across the world. We have an all-or-nothing model and apply a 5% fee on successful campaigns.